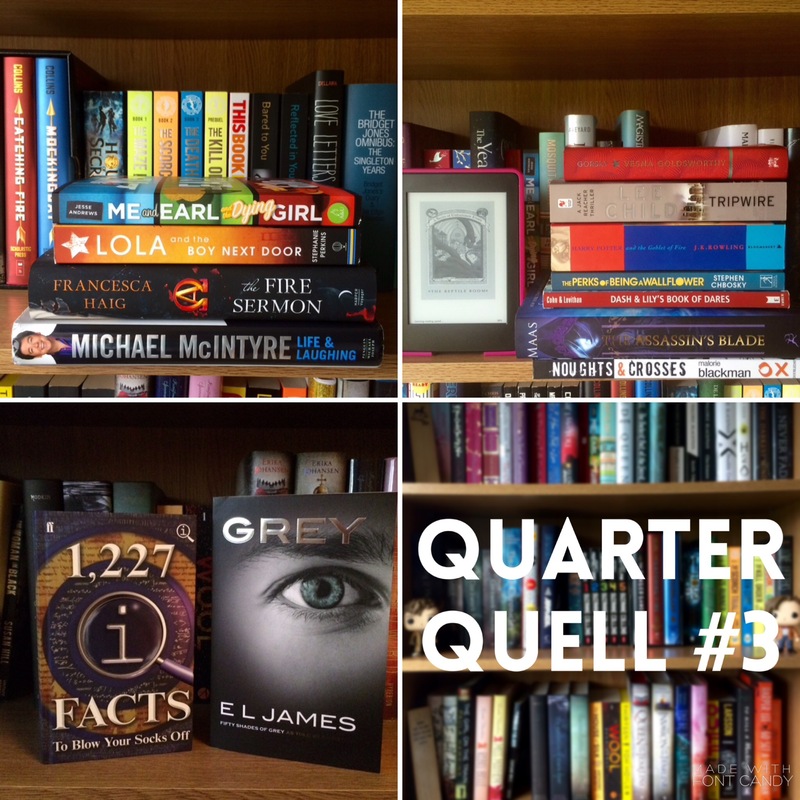 Insane though it is, we are now three quarters of the way through the year and the 2015 Reading Challenge – it’ll be the new year before we know it! 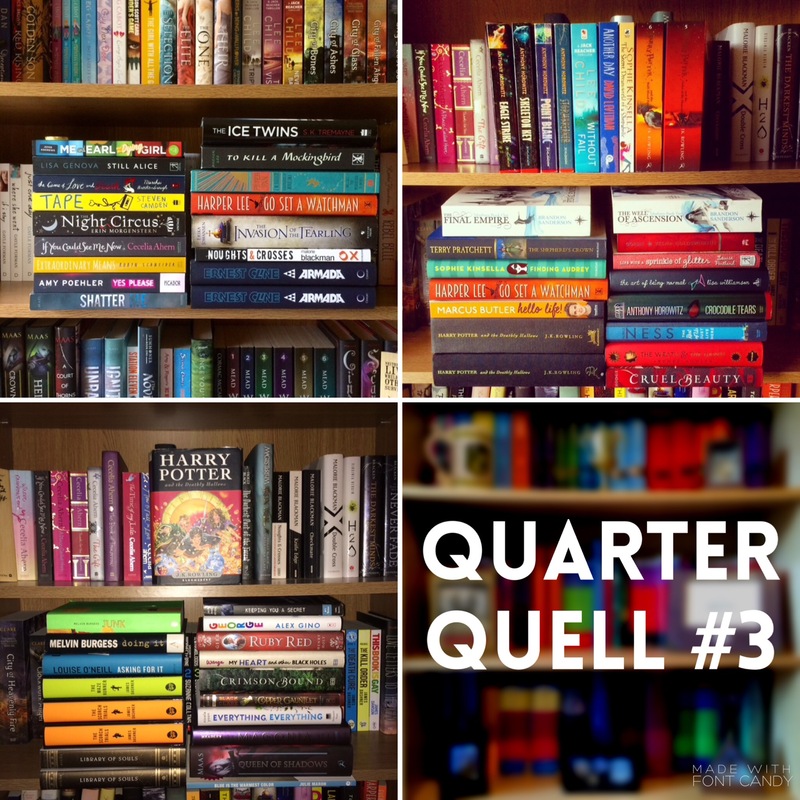 The end of the quarter means it’s time for my penultimate Quarter Quell post of the year, where I wrap up the three months of reading and book buying (if you want to see how I did in January, February and March, click here, and for April, May and June, click here). Unfortunately I read fewer books than I was expecting over the last three months – I can only say that concerts, holidays and jobs have cut into my amount of “free” time (also I suppose that university afforded me a lot more free time than I appreciated!) I also bought double the number of books I wanted to, but as I always say, that’s not a bad thing except that my bank balance suffers.